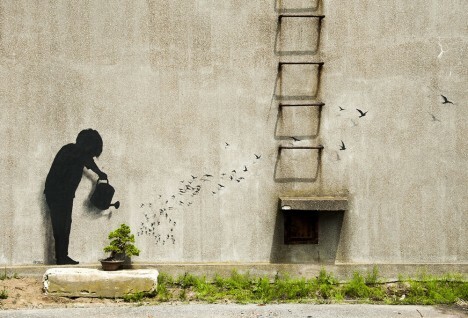 Spanish street artist Pejac both praises and criticizes elements of various Asian cultures in a new series of outdoor paintings making use of iconic traditional imagery and symbols. 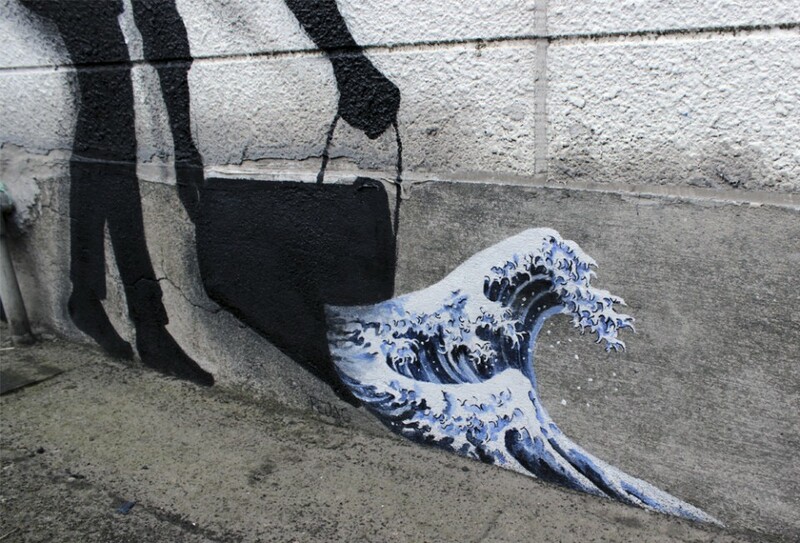 Human figures are represented as mere silhouettes, allowing reproductions of The Great Wave off Kanagawa or three-dimensional elements like bonsai trees to take center stage in each work. 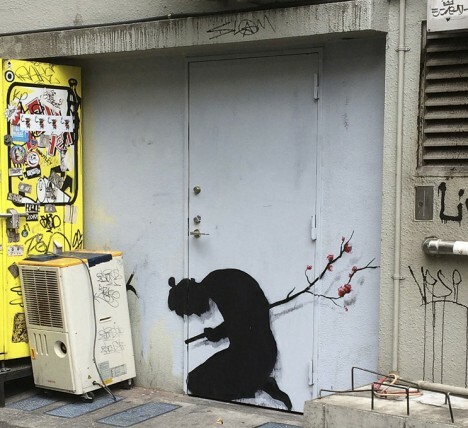 The works may say just as much about how a foreign artist perceives the culture of cities like Tokyo, Seoul and Hong Kong as they do about the places themselves. 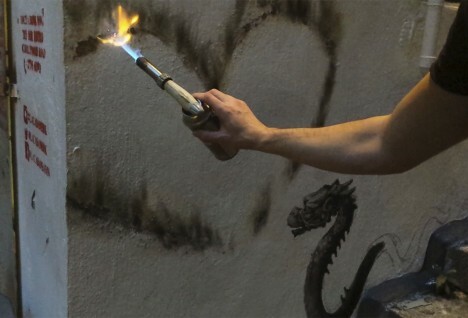 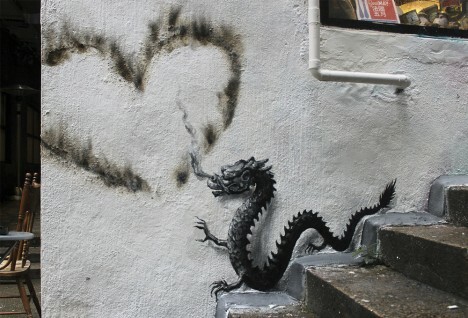 Pejac makes use of some of the most common symbols that outsiders associate with Asian cultures and traditions, like a Chinese dragon beside a heart-shaped scorch mark. 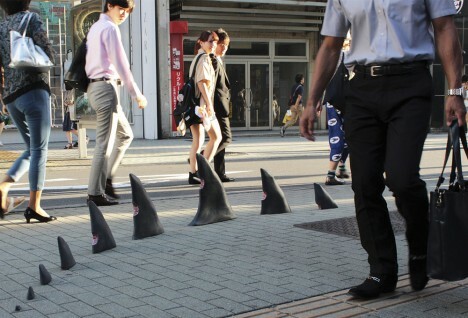 A three-dimensional installation of shark fins sticking out of the pavement in Tokyo is a tad harsher in its appraisal, with human bite marks taken from each one. 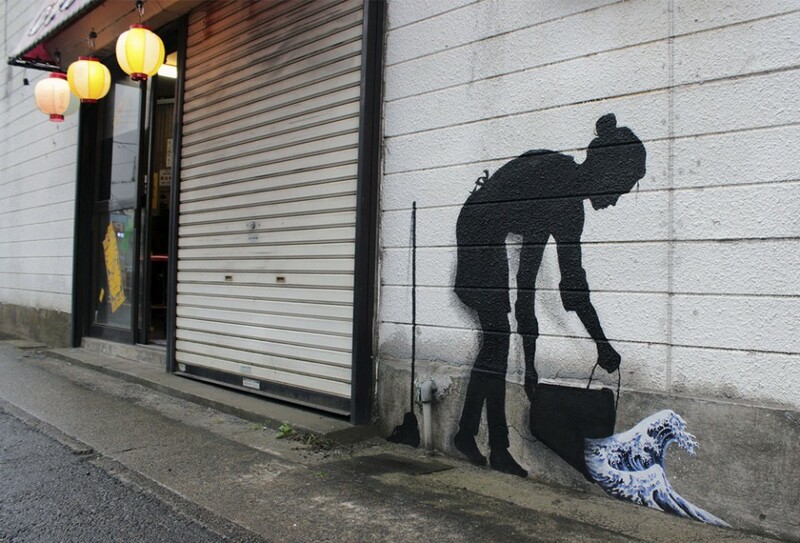 Pejac makes use of “classic anime aesthetics” to calla attention to the environmental impact of shark fin soup, which is popular in Japan.